Among the hills of Vayang in Batanes, we found cows grazing everywhere. 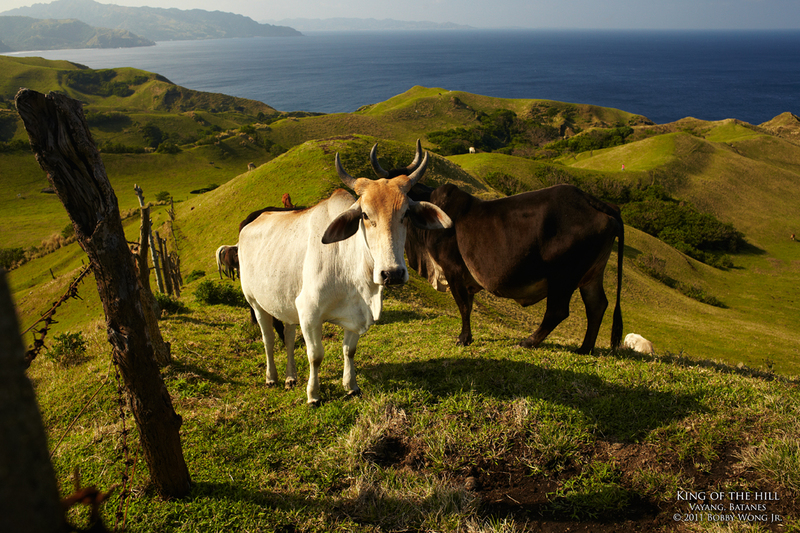 This is such a beautiful place to be a cow I thought... wide open spaces with lots of grass, a constant sea breeze under a sky that is sunny when the weather allows, and an expansive view of the rugged landscape that is Batanes. The steers here look pretty contented, proof that life can be good, even if you're a cow! Enjoy. do cows really have this keen desire to be photographed? just yesterday afternoon, the hubby and i went on an afternoon "photo shoot" (we're just hobbyists) and there were quite a few them in the area where we were and they would seem to know how to pose! thank you for sharing your inspiring photographs. i pray i can take a one shot at something worthy to compare to any one of yours.